This beautiful wood sign is the perfect accent for your home! 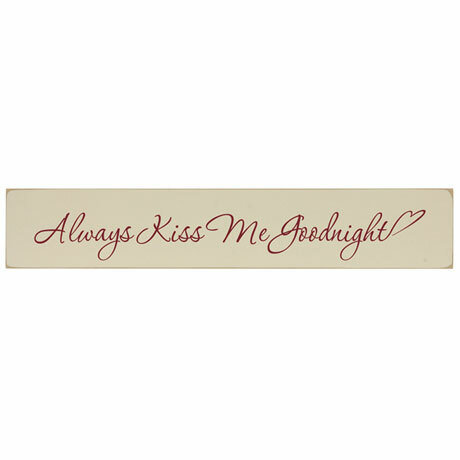 Featuring the sentiment "Always Kiss Me Goodnight," it makes a wonderful gift for newlyweds and anniversaries. Artfully screen-printed on wood and ready to hang. Available in black or sand. Measures 3.5" x 20". Made in the USA.